It take takes about 3 boat loads of swagger to be able to pull off two completely different colored shoes and not look like a clown. 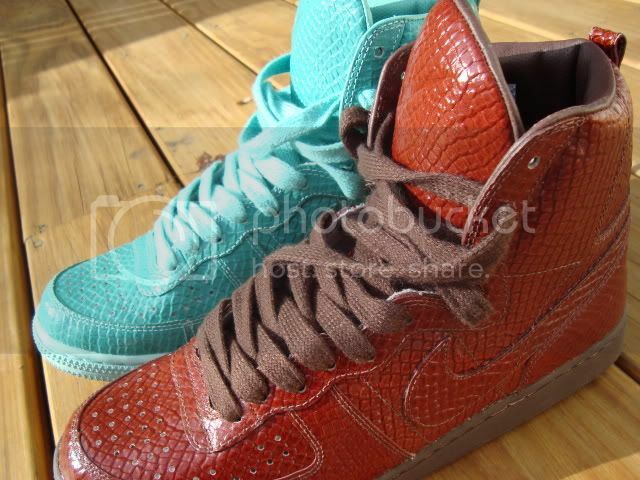 I suppose it is fitting then, that Japanese brand Swagger decided to color their collaboration with Nike in mint and brown. After seeing Lupe Fiasco wear them and look so cool, I couldn't restrain myself, but then I realized I wasn't Lupe Fiasco. More pictures and information by clicking on the link below. The silhouette of the shoe is a take on the normal Nike Terminator but with an oversized tongue and all over reptile print and they look quite good. 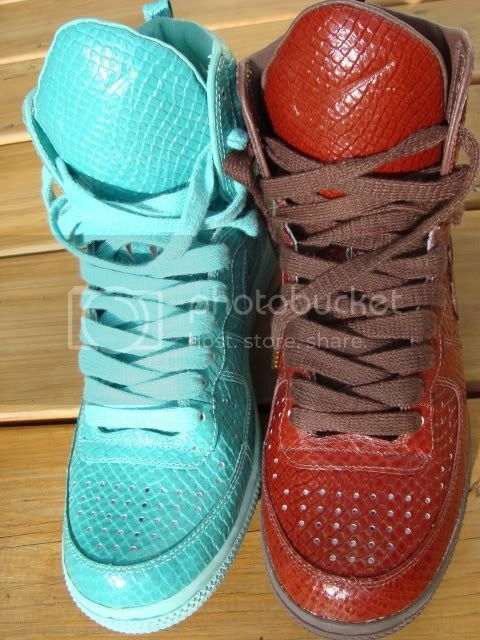 They're just difficult to pull off because of their coloration- that's the big reason mine have never left their box on my feet. In fact I have never seen anybody but Lupe look good in them. I wouldn't recommend them unless you have some sort of super-human coolness factor (and you might).